Everyone is in on the Super Bowl food mania but this one will have you coming back for more. 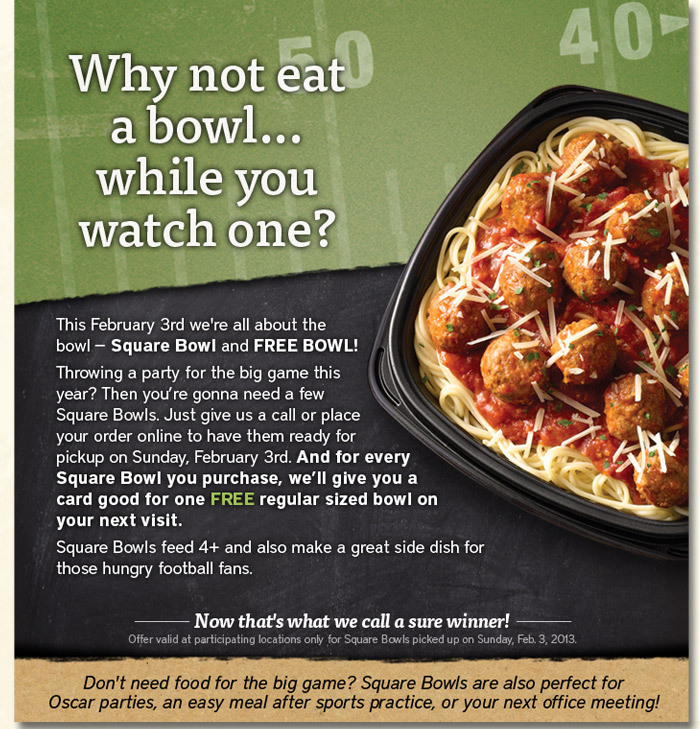 Why, because you get a card for a regular free bowl when you buy a Square Bowl, (feeds 4) at Noodles & Company. So if you aren’t the Martha Stewart of entertaining you can easily call in your order for pick up Sunday, February 3 at any of the “participating” Noodles & Company whether it be truffle mac and cheese, spaghetti & meatballs, pad thai, Bangkok curry, pesto cavatappi or pasta fresca .